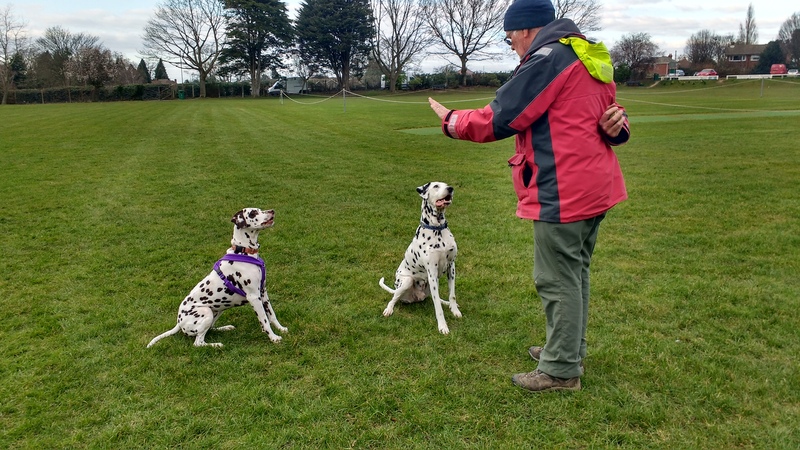 Dalmatian Welfare » Useful hand signal. 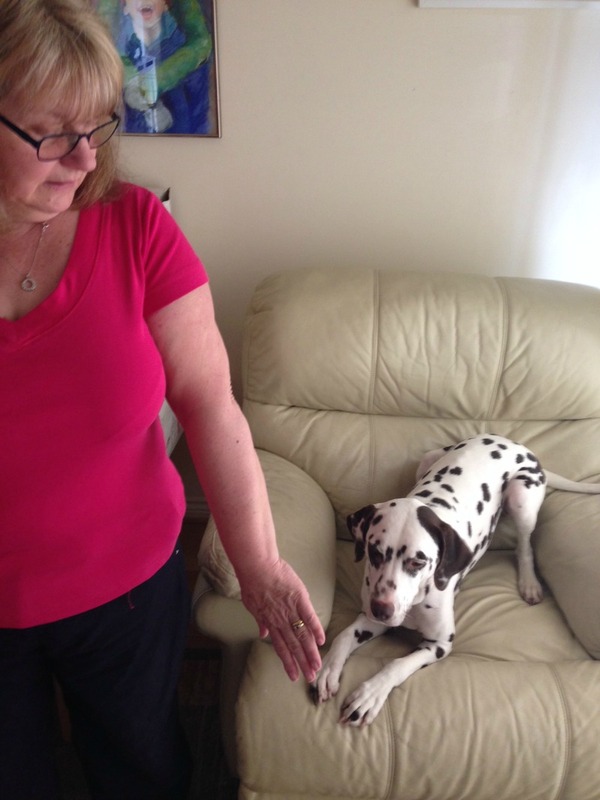 You’ve probably seen this hand signal used when an owner is telling their dog to “stay”. It’s such a useful, all round signal, not just exclusively for a stay. 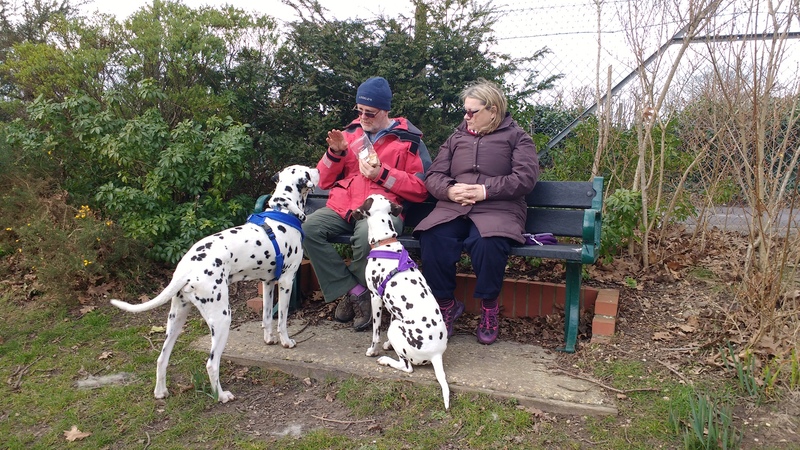 Dalmatians are notorious scavengers of food, if you turn your back for a second, that meat on the plate, you were about to eat, has suddenly disappeared. All your left with is a happy dog, licking it’s lips, after scoffing the lucky find!! This picture illustrates Alfie trying to help himself to lunch, he is apparently, a great food thief! Given the strong impulse that some dogs have, to highjack any crumb conceivable, you could end up in a game of tug of war, and endless shouts of “no”! This will most likely prove to be rather ineffective, so what’s the alternative? A simple hand gesture, no words needed. Alfie soon learns that he needs to move back from the food, as it’s not his for the taking. 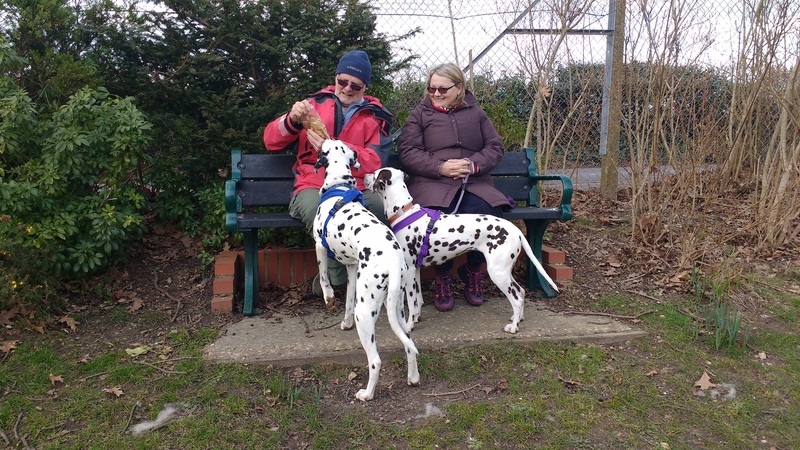 He responds very quickly, and Cassie goes one step better, and does a nice relaxed sit for her dad. They can be rewarded with a titbit afterwards to reinforce the desired behaviour. This hand signal is also great to stop excessive barking, when somebody is at the door, it can be used to signal that your beloved fur baby doesn’t need to follow you to the toilet. They can simply stay lead on the sofa, as you get up to go about your business. Once your dog is associated with the meaning of the signal, the possibilities are endless. It’s simply a way of conveying to your dog, that they can wait, or just relax, and it’s still a great signal for the “stay” command! A multi-purpose, and invaluable aid to living peacefully with your spotty companion.